Creating a cohesive interior environment is dependent upon all elements working together in a unified, but still interesting way. Color, space planning and staging are all elements in which Woodman Design can provide assistance in making these decisions for your home. Floor plans, elevations and renderings can greatly increase a client's understanding of what details will be going into their renovation. These drawings are also an extremely useful tool for contractors to make sure that all elements are executed properly. These drawings vary in scope and detail and are priced accordingly. Have a piece of furniture that you love and cannot get rid of, but it needs a facelift? 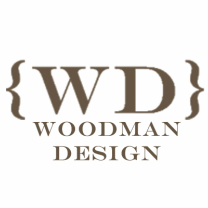 Woodman Design can revitalize these beloved treasures and integrate them into your interiors. Decorating for your special event can be daunting. You may have a vision, but are not sure how to make it actually come together. Woodman Design can help put together a scheme and decorate for your event. Events to include: Parties, showers, weddings, and any other social gathering that requires extra detail in the setting.